A new law to crack down on uninsured vehicles takes effect today, 20th June 2011. Unless the vehicle is on a SORN or has been off the road since 1998, it must be continuously insured. Penalties range from a £100 reminder fine to 6 points, substantial fines, confiscation of the vehicle and possible destruction of the vehicle. From today registered keepers identified as having an uninsured vehicle will be sent a letter telling them that their vehicle appears to be uninsured, and warning them of the consequences if they fail to take action. Those who do not act on this warning - either by taking out insurance or declaring their vehicle off the road - will receive a £100 fine and could have their vehicle clamped, seized and destroyed. 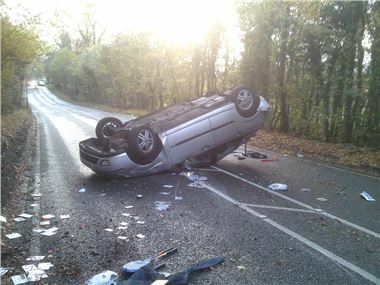 In addition to losing their vehicle they may also face a court prosecution leading to 6 penalty points and a £1,000 fine. This is in addition to the £150 a year added to ther average policy as a result of the activitieds of Accident Management Companies pursuing spurious personal injurty claims, estending reapir times and putting crash victims into 'Credit Hire' cars. Obviously once Continuous Insurance puts uninsured drivers off the road, we can all benefit from a reduction of an average £30 per year to honest drivers' motor insurance policies. And pigs will fly. Motor traders need to take care that their trade licences are registered with www.askmid.com and must regularly update the lists of the cars they have in stock that are covered by their trade insurance.